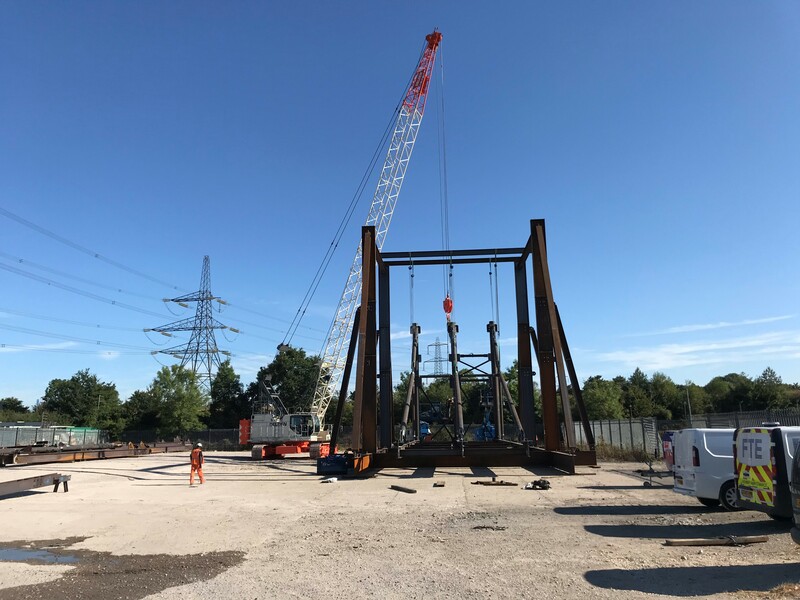 As part of the British Antarctic Survey (BAS) project to modernise its Antarctic infrastructure, we provided a full logistics package to Fourtees Engineering, including transport, craneage, handling and open storage at our Nursling site. Fourtees, who are working for BAM Nuttall, have fabricated structures which will be used to build a new wharf at Rothera Research Station, the UK’s Antarctic Hub for frontier science, situated on Adelaide Island to the west of the Antarctic Peninsula. BAM Nuttall are partnering with BAS to deliver the new wharf, which will accommodate Britain’s new polar ship the RRS Sir David Attenborough and are due to start construction in November 2018. Due to the hostile nature of the location and short weather window offered by the Antarctic summer, the Fourtees structures have had to be assembled in full, checked for precision, and disassembled before being shipped to Rothera, as there is no room for errors once there. Rothera supports a wide range of BAS, UK university and international collaborative science programmes. Over the next decade it will undergo a comprehensive modernisation programme to ensure that its facilities continue to enable world-leading research of global importance to society and the economy.